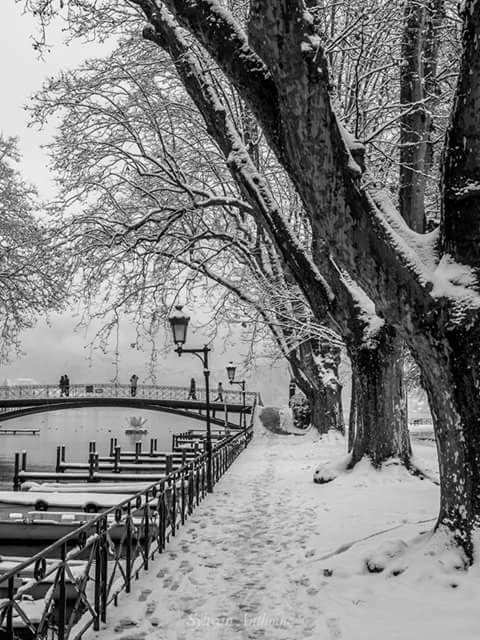 The Pont des Amours in winter, dipped in snow. Legend has it that after one kiss on this bridge you will remain together for life. Here you’ll discover medieval buildings and quaint canals crossed by small bridges. The stunning crystal clear lake that is reportedly the purest in Europe. Where ever you go, romance fills the air, this is a place to walk and wonder, admire the fairytale-like landscape, and just go with the flow. Enjoy the winding little streets, quirky shops and bars, fabulous restaurants and the canals that give this beautiful city the name “Venice of the Alps”. 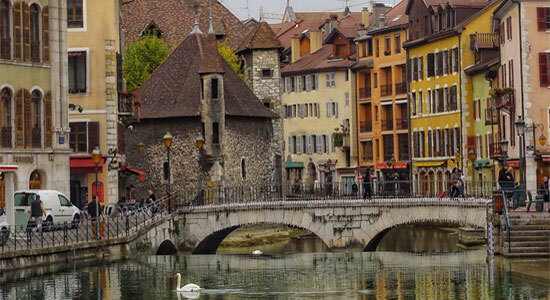 Annecy is truly charming. There are so many dreamy things to do in Paris. From floating down the River Seine to sitting outdoors in a cafe sipping coffee and eating a croissant to walking hand-in-hand along the Champs-Élysées. Paris is an über-romantic city. Enjoy an exquisite lunch or dinner at the Lobby Restaurant at one of the most dazzling hotels in Paris, the Peninsula, at a price that will surprise you (in a good way!). Share a hot chocolate in the shadow of Notre Dame before wandering through the famous Paris flower market close by. Relax in a park, visit one of the hundreds of museums and art galleries. 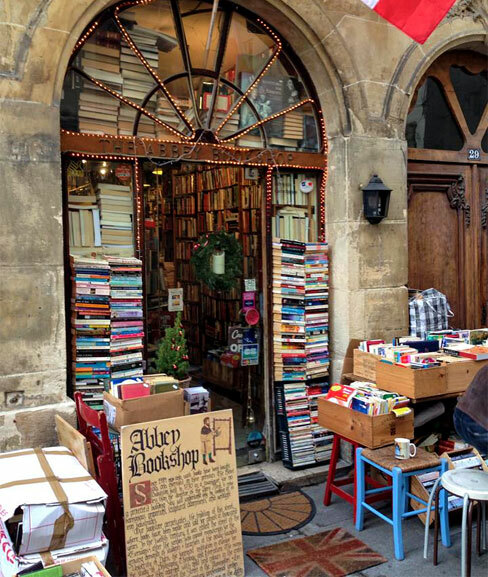 Or browse the second hand books of the famous bouquinistes along the Seine or one of the city’s quirky book stores. Get starry-eyed in Sancerre over a glass of delicious wine grown in the vineyards all around this pretty hill top town. 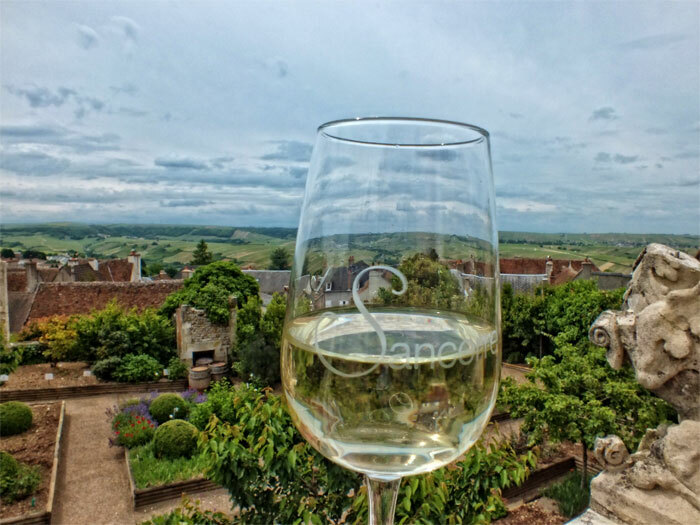 Set in the historic region of Berry at an altitude of 312 meters, Sancerre overlooks the gorgeous Loire Valley. 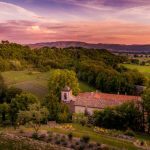 One of the best views is from the gardens of the Maison des Sancerre with a tasting of the famous white wine of the region. Wander it’s pretty streets, stop off in a café and just enjoy the soothing ambiance of this lovely town. And do pop to nearby Chavignol for a cheese hit to go with that smooth, delicious wine! 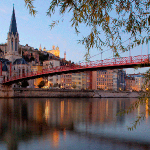 The Old Town of Lyon is the perfect romantic place for foodies. Take the impressive funicular railway to the top of the Fourvière hill There you’ll find the grand and elegant Basilica of Notre Dame and breathtaking views over the city. Watch the world go by from a traditional bouchon, a type of restaurant where the food is guaranteed to be delectable. 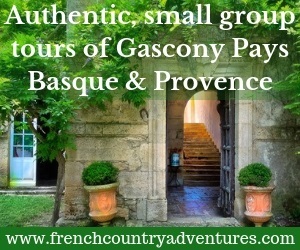 Stroll around the maze of narrow streets in search of beautiful boulangeries and quirky shops. Visit fabulous little museums and art galleries, or just sit and relax at a pavement café. That’s what Lyon is all out – astonishing architecture, heavenly food and the pleasure of doing nothing. Indulge your passion for chocolate at Meert, a chocolate shop that opened in 1761. 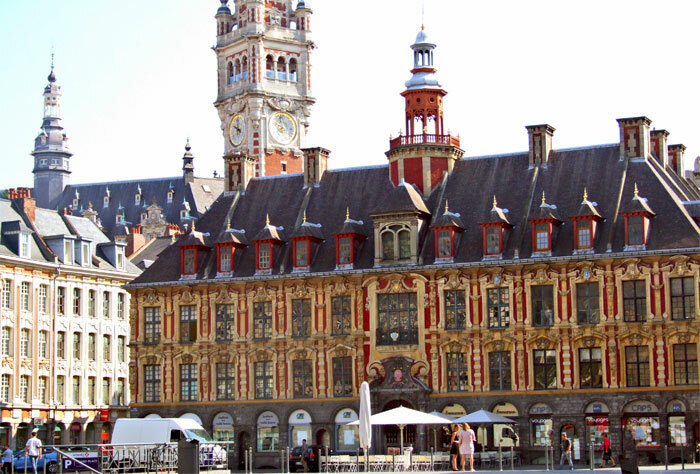 If you want to buy a gift for your loved one, you won’t find any lack of inspiration in Lille. Head to the Vielle Bourse, the Old Stock Exchange, where you’ll discover a second hand book market in spectacular surroundings. If you’re there on a Sunday night in the summer months, you can join in the tango dancing under the stars that takes place here. Wander the corridors of the dazzling Palais des Beaux Arts with its awesome collection of art from all over France, much of it acquired by Napoleon when on his travels. Indulge in a glass of Champagne in a 17th century convent. 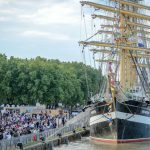 Make a meal of your visit, with a choice of hundreds of restuarants, it’s not hard to fall under the spell of Lille (10 Brilliant Places to Eat and Drink in Lille). 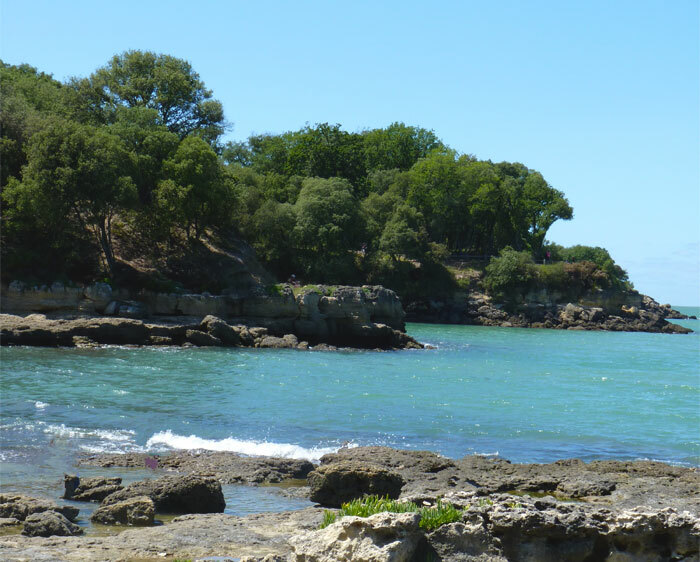 A real get away from the crowds location just off the coast of lovely La Rochelle. A small crescent shaped island about 3km long and 700m wide, it is ranked on the list of remarkable natural sites. the Island of Aix can only be reached by ferry on foot or by bike, there is no road traffic here (save for the few permanent islanders who need wheels to get supplies). This is a heavenly little place with secret alcoves, beautiful, pristine beaches, wonderful restaurants that feel very Mediterranean and a couple of quirky museums. A place to whisk your love away to, and relish the peace and beauty all around you. 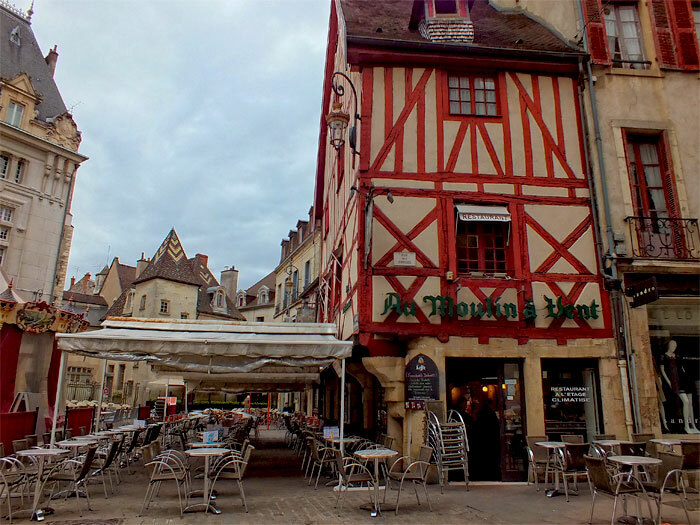 Troyes, Champagne region, has everything for a lover’s tryst. 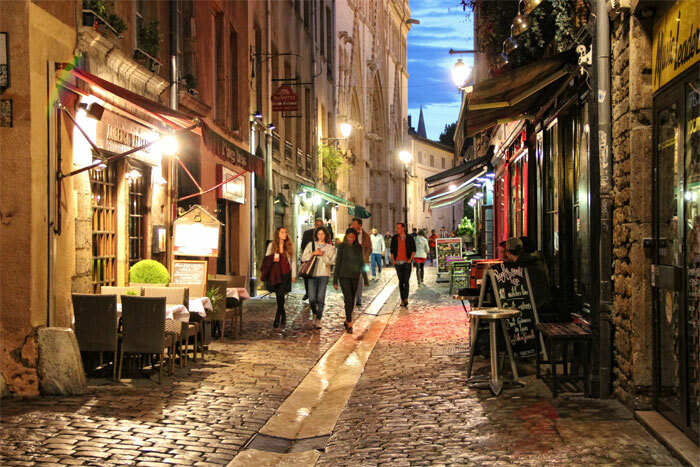 A charming medieval city with a warren of streets filled with luscious buildings, mesmerising cake shops, fabulous restaurants and bars, where of course Champagne is king. Culture vultures will love this friendly place with its museums and history on every corner – literally. 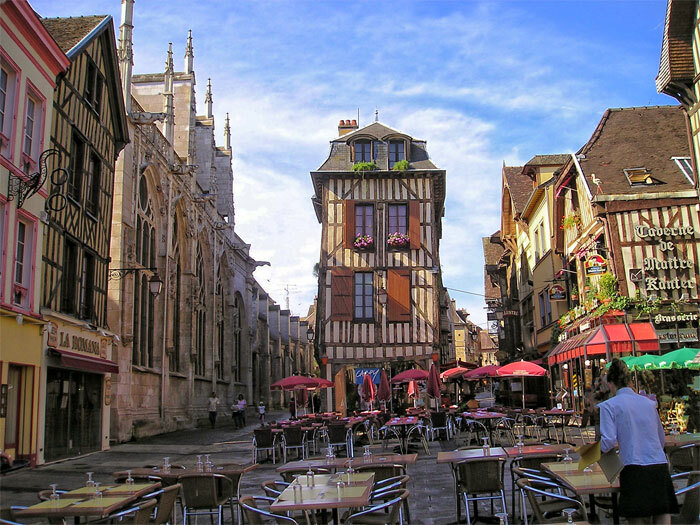 A tour of Troyes will reveal ancient towers, a church where Henry V of England married a French princess and a historic footprint that’s just extraordinary. Troyes is where tragic lovers, and France’s most celebrated romantic couple Abelard and Heloise lived. There’s not much that beats the romance of watching the sun set over the cliffs of Etretat in Normandy. Writer and artists have been lured to this place to try to capture its magnificent qualities – Claude Monet and Eugène Boudin, amongst many others, loved to paint here. 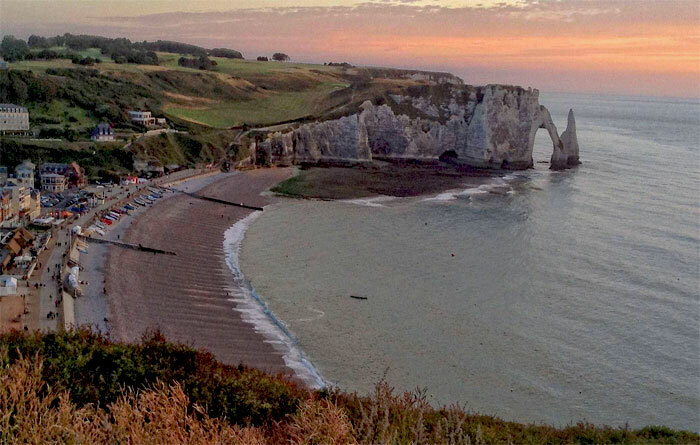 Guy de Maupassant wrote “The Englishman of Étretat” (L’Anglais d’Étretat) after spending much of his childhood in the area. So in love with the views was he, that in later life he built a house in Etretat in what is now rue Guy-de-Maupassant. Get lost in its medieval atmosphere, wander along the winding streets and lose your heart to this beautiful ancient city. 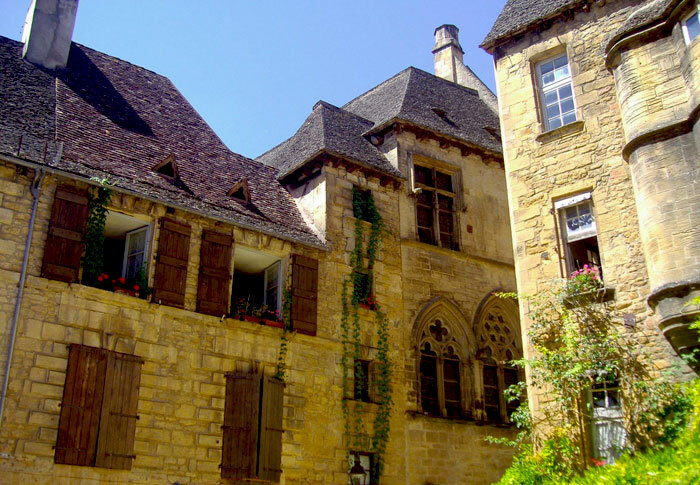 There has been a settlement here for thousands of years but in the 18th century, cut off from main stream France by a lack of roads, Sarlat became a Sleeping Beauty-like town, left behind by the modern world. It wasn’t until the late 20th century that it was “rediscovered”, and it has kept its time warp appearance intact and unique. 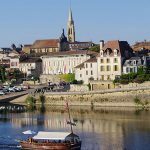 Yellow stone buildings give this town a gentle ambiance, go on a Saturday and you’ll discover one of the most sublime markets in France. Sarlat is endlessly charming. 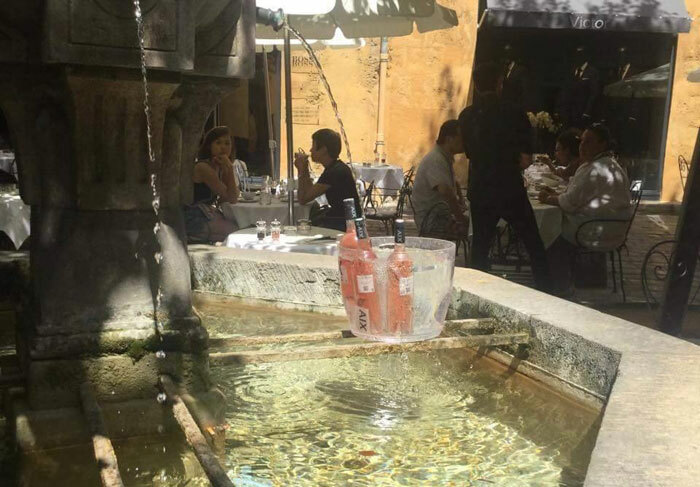 Irresistible and beautiful Aix, the city of a thousand fountains, go once and you will find yourself forever longing to return. 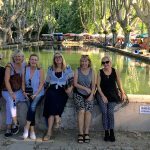 Sunny streets, chic boutiques, bustling markets, chichi cafés, restaurants where you can sit, shaded by tall plane trees, enjoying life going by in this typically Provencal town. Dijon in Burgundy is architecturally stunning. Wide streets, huge squares, an enormous palace, small elegant squares, beautiful old buildings and quirky museums. The town’s fabulous indoor covered market will make you think of the Eiffel Tower and that’s not surprising as it was designed by the town’s famous son, one Gustave Eiffel. This is a place to linger, holding hands over a glass of wine on a pavement cafe and simply enjoy. You didn’t think I wouldn’t mention Paris did you? !